The newest iteration in the iJust series is here. The iJust line of devices have been around for quite some time now and the iJust 21700 is the latest addition to the family. It’s a non-adjustable vape pen that will fire at up to 80W and uses a single 21700 battery to function. It also comes with an updated Ello Duro tank that uses a cool looking acrylic tank section as well as new mesh coils. The iJust 21700 kit is a surprisingly good looking vape pen. It takes either a single 21700, 20700 or 18650 battery to function. It comes in a handful of different colors and the design and paint are very nice. It’s a direct output wattage device that will provide power based on your current battery charge; there’s no way to adjust your wattage. This baby is pretty powerful though and can fire at up to 80W when fully charged. There’s a single button on the front for firing. The Ello Duro tank that comes with the kit matches perfectly with the color of the mod. It also has a really neat acrylic glass tank section that matches the drip tip as well. This tank also uses two new mesh coils that have just been released by Eleaf and they vape very well. You’re going to get large DTL hits with this tank and mod combo even if you restrict the airflow all the way down; this isn’t a MTL device by any means. The iJust 21700 is constructed of zinc alloy. With a battery inserted the weight feels great and it’s comfortable to hold and use for extended periods of time. The paint on the device is gorgeous as is the design: there are deep lines etched into the metal that go around the diamond shaped firing button. But these etched lines also serve the purpose of aiding with grip. The device isn’t slippery at all, a nice change from other slick metal tube mods. The diamond shaped fire button is located at the top-front of the device. It’s easy to reach with either your thumb or your index finger but I found it most comfortable with my thumb. It functions with just the right amount of pressure and is nice and ‘clicky’. The iJust 21700 is average size for a vape pen and is 120mm tall and 25mm in diameter. This means that any tank over 25mm is going to overhang, but will still fit. The entire device is really well constructed. I shook this thing like a madman and the firing button and battery door didn’t make a sound. With a 21700 battery installed there is battery rattle if you shake the device. However, this only happens if you shake it vigorously so I would say that this is almost irrelevant. The battery door is spring loaded (awesome) and unscrews from the bottom of the mod. The negative contact is labelled clearly in white on the battery door. The Ello Duro tank on the mod looks awesome. It matches perfectly with the mod and comes stock with the acrylic tank section installed. The tank section matches the pattern on the drip tip and the whole thing comes together for a super sweet looking sub-ohm tank. The Duro also comes with a regular glass section if you don’t like the look. With the acrylic section the tank will hold up to 5.5ml of ejuice or 4ml with the glass tube. For this reason alone, I found myself exclusively using the acrylic section. That extra 1.5ml can go a long way if you forget to take your bottle of ejuice with you. It’s a 25mm tank and the drip tip is an 810. It’s compatible with most 810 drip tips so you can swap it out if you so wish. The Ello Duro has a standard push to fill system. This has become the norm for tanks over the past year, it’s just a matter of finding ones that won’t come open in your pocket. This tank is pretty good and I didn’t have any problems with it accidentally opening. The push to fill is pretty good unless you’re trying to open it but does have a little bit of wiggle that worries me. There’s a small line on the top cap to indicate where to push. The airflow on this atomizer consists of three large, wide airflow holes. You can adjust these slots for airflow that is totally wide open all the way down to a more restricted lung hit. This tank actually has a bit too much airflow in my testing and is a strict DTL vape. I’ll talk more about this later. You get two kanthal coils included with the kit: an HW-M2 0.2ohm coil and an HW-N2 0.2ohm coil. 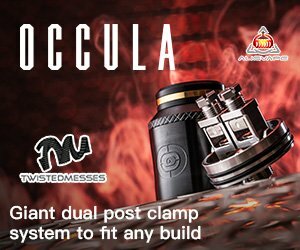 Even though they’re both the same resistance and are both rated for 40-90W, they’re actually two very different coils. The M2 coil uses a mesh with rounded holes and looks more like a net than actual mesh. The N2 coil is more of a traditional mesh coil and features a finer mesh. They both use organic cotton as their wicking material. The coils also feature something called a “self-cleaning” technology. This is a series of holes on the bottom of the coil that supposedly help with lifetime of your coil. However, I still averaged just about a week to a week-and-a-half of heavy vaping (1-2 refills a day) before I had to change the coil; pretty standard coil life. The iJust 21700 is a pretty versatile vape pen. It can be used with a 21700, 20700, or even an 18650 battery. To use an 18650 you just have to use the included battery adapter sleeve. I like that this vape pen has a removable battery because it really adds to the longevity of the device. If the battery gets bad, you can simply replace it with a new one instead of having to buy a whole new device. The 0.2ohm coils draw quite a bit of power from the device (as it is a direct output mod) so anything other than a high-capacity, high-drain battery isn’t going to last you very long. I’d suggest a high-capacity, high-drain battery. But the iJust 21700 does have pass-through charging, so you can vape while charging if it runs low. Four colors is better than the three found on most devices and lets you know with a little more specificity how much battery you have left. As a whole, the kit is good but there are a few areas that could use some improvement. First off, the device is going to give you a very large DTL hit. The draw is super airy due to the three massive airflow holes and these certainly could of been smaller. Closing the airflow from fully open to mid-way really doesn’t change the draw very much as there is already way too much airflow for the coils to handle. I didn’t get a very satisfying hit with this kit until I closed the airflow nearly all the way. At this point there’s quite a bit of airflow noise and turbulence, but it’s nothing that I would seriously complain about. MTL hits are just not possible with these coils and the amount of airflow on this tank. If a MTL kit is what you’re looking for, you’re not going to find it here. Cloud production is really good with this kit, more than what you would expect. So while the hits are very airy, you can blow some worthy clouds. When it comes to the coils used in this kit, it’s a bit confusing. The coils don’t deliver the awesome flavor that they’re capable of unless you fire them in between 80-100W — something this kit just isn’t capable of. I tested the Ello Duro and both coils on my Voopoo Drag 2 at 85W and the flavor was a lot better than what I got from the kit. So while the flavor isn’t bad by any means, this kit just doesn’t let you get the full potential out of the coils. 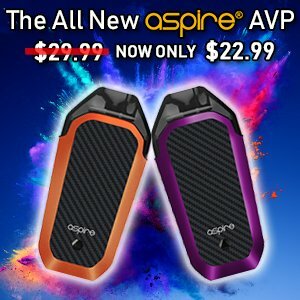 Would I recommend the Eleaf iJust 21700 kit? Maybe. For a vape pen kit it’s got good vapor production. It’s also got a great form factor and it delivers a very large and airy DTL hit. You get great battery efficiency as well as a tank that can hold a 5.5ml of ejuice. But while the mod or the tank by themselves are great devices, you don’t get the full flavor capabilities of the coil when you use them together. While it isn’t bad by any means, I just didn’t find it to be a satisfying enough vape.